Run by a friendly team of staff, Backyard Hotel is situated in the bustling tourist area of Thamel, which is a very convenient location for everything a tourist might be looking for; restaurants, shops, bookshops, ATMs, tourist bus terminus, cyber cafes, and many visitor attractions. This hotel is just a 25 minute drive from Tribhuvan International Airport and a free guest arrival pick-up service is provided, by prior arrangement. 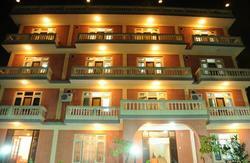 The hotel has a backyard position like the name itself, making your stay more pleasant and peaceful. The benefit of being at the centre of city includes easy access to Kathmandu Durbar Square, the nearest World Heritage site, the former Royal Palace, now the Narayanhiti museum, and The Garden of Dreams, which are all within walking distance. 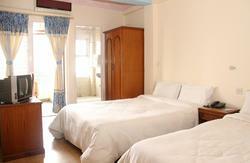 Backyard Hotel is a 15 room small hotel that offers excellent service in a clean and comfortable environment. The hotel rooms are spread over 5 floors, with no elevator service, but there are porters to assist with luggage. The staff are eager to assist and provide good service. 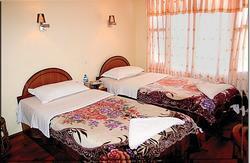 The rooms are airy, spacious and furnished to a good standard. All rooms are east facing and sunny, all have wooden laminate flooring, western style bathrooms, LCD cable television, most with air conditioning, some with fans, telephone services, 24 hour hot and cold water, daily housekeeping, free Wi Fi throughout and a small terrace restaurant with good views of the city and surrounding hills. Room service is available on request. The room tariffs shown include no hidden costs or taxes and what you see is what you pay. Breakfast is also included. 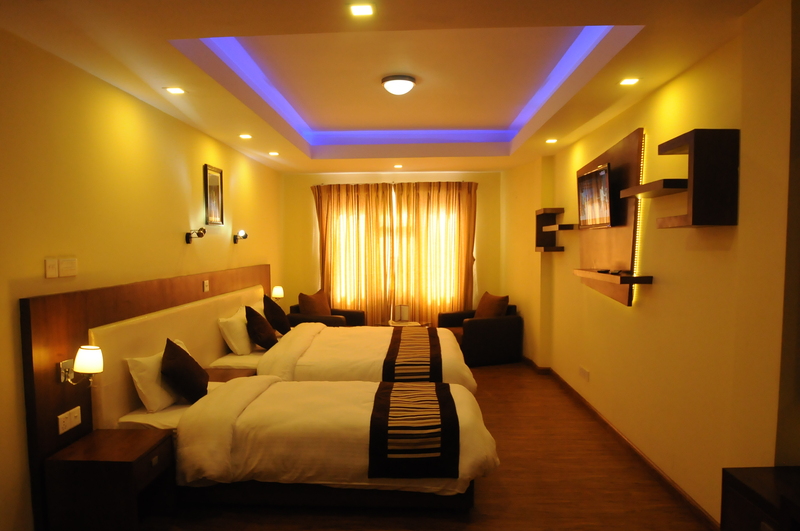 The hotel also has a travel office which provides free information and organises all tourist activities like trekking, sightseeing, Everest flights, hotel reservations, flight/bus tickets, car rentals etc, especially for Backyard Hotel guests. This Backyard Hotel P. LTD. located in heart of Thamel and 7 km from the International Airport and 2 km from the Central Bus Station.